My photog skills are a bit lacking. But here is a bit of news. From any attendees, what are some good one-sentence summaries of the show, in your opinion? Well worth my time (I flew from Los Angeles). imagic, ereed, Ediddy and 1 others like this. 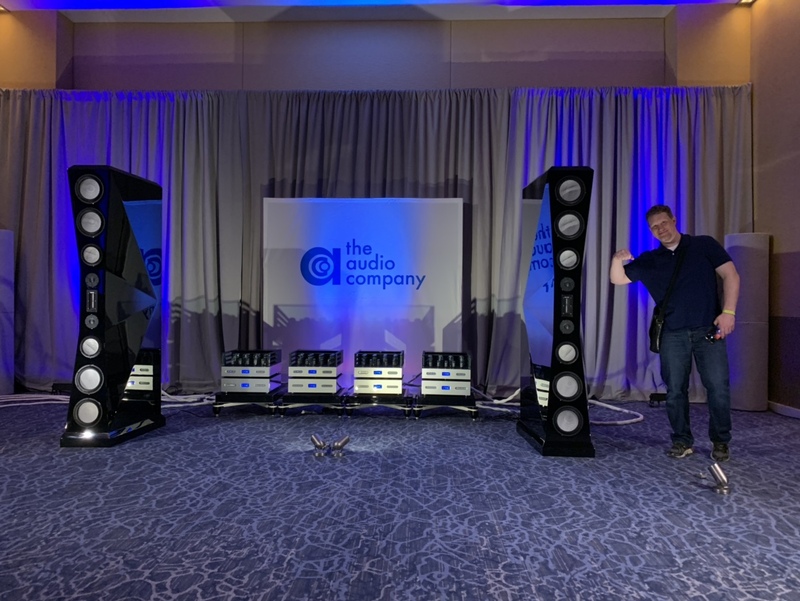 "Chicago has much more to offer than the best Pizza, hotdogs, Italian beef, Polish sausage and pizza puffs in the world...If you're hungry for the very best in audio, it has that too"
imagic, ereed and Mike_WI like this. Marc Alexander, imagic, ereed and 1 others like this. rhale64L7 and mik2h like this. 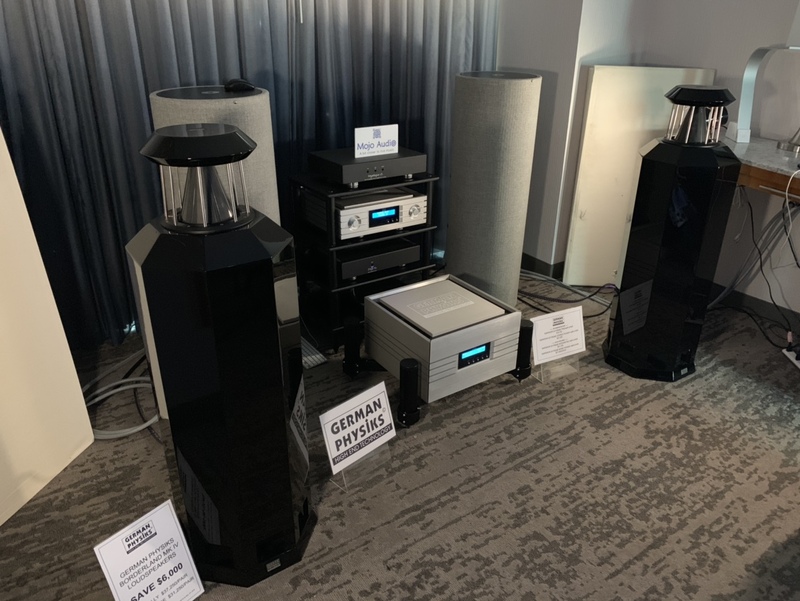 There were some very nice sounding 2 channel systems at the show - the kind that you just say “woah!” I mentioned a few of them with the photos above. I would put most of the speakers in a category of pretty good that are ones I could listen to but would never buy, and a small portion of some that were not so good. Most of the not good ones were in the very expensive price range. There we SO many speakers that we started to exit the rooms within a few seconds of sitting down if they weren’t above average sounding. Unfortunately there were several rooms that weren’t playing music at all, so we’d linger for a bit then move on if there was no demo happening. I assumed that they were probably trying to make a sale and I was there to gawk and drool, and to kick tires, so we kept on movin. There was a speaker that surprised us that looked very ordinary, but was extraordinary in sound. Hopefully Archaea remembers and will post some pics of it and remember the brand - Prana? The Legacy flagship 2ch system was very impressive and something that I would love to own, but still forever out of my price range. So cool looking and elegant, and plenty of techy nerd stuff to play with: the included dsp and amps. Quboz demoed their high res streaming service on the Legacy with a few tracks and claims the best high res library out there. I’m definitely going to try out their free trial and see how it compares to Tidal. Many of the rooms had speakers that I think were probably very impressive, but the room acoustics wrecked the sound for them with lots of windows, tile floors, too little space, etc. 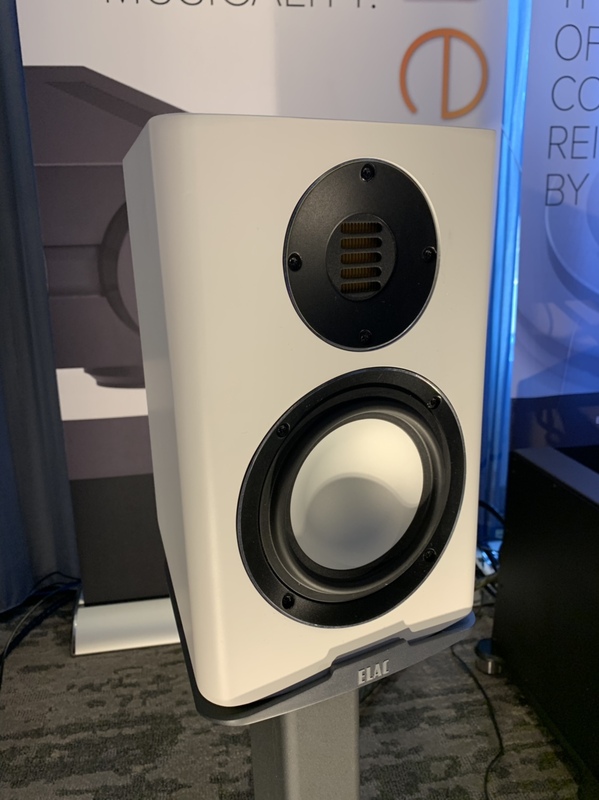 Emotiva had a very impressive HT presentation using very affordable speakers, but the JTR room was a knock-your-socks-off showing as expected. My pair of JTR 210rt are still my favorite speaker, and 50 times less money than my favorite speaker at the show. In summary, the primary goal was to hang out with my AVS Nerd buds, listen to some great sounding speakers, and have a great time. Mission accomplished. oldsteve, carp, Archaea and 5 others like this. "There was a speaker that surprised us that looked very ordinary, but was extraordinary in sound. Hopefully Archaea remembers and will post some pics of it and remember the brand - Prana?" Goldmund Prana by any chance? Since last year was the first year at the new location, it was pretty easy to forgive most of the sound I heard. Sadly, this year didn't get better. I came away thinking the only two speakers I'd spend money on (not like I need any more speakers in this house) were the Dynaudio Evoke 20 and 50. But the surprise of the show was the super cheap Maggie LRS at $650. However, they will need an amp several times the price of the speakers to drive it correctly. No AVRs for this one. The Schiiters at Schitt Audio likely have the cheapest solution at https://www.schiit.com/products/vidar, but this will still need a line stage of some sort. A brilliant speaker for peanuts and I recommend checking it out. And thanks for the pizza recommendation. We went to Lou's right after the exhibits closed on Friday. Good thing because if we had waited until a little later we'd never gotten in. Last edited by Scotth3886; 04-15-2019 at 08:29 PM. This was my second trip to Axpona. I went with a few buds, all seven of us stayed in an AirBNB there in Chicago. @Gorilla83 , @beastaudio , @ChopShop1 , @d_c , @lukeamdman , and @popalock . I enjoyed getting together with my buddies probably more than I enjoyed the show. I also met some new avsforum members, and demoed three neat theater spaces outside of Axpona. 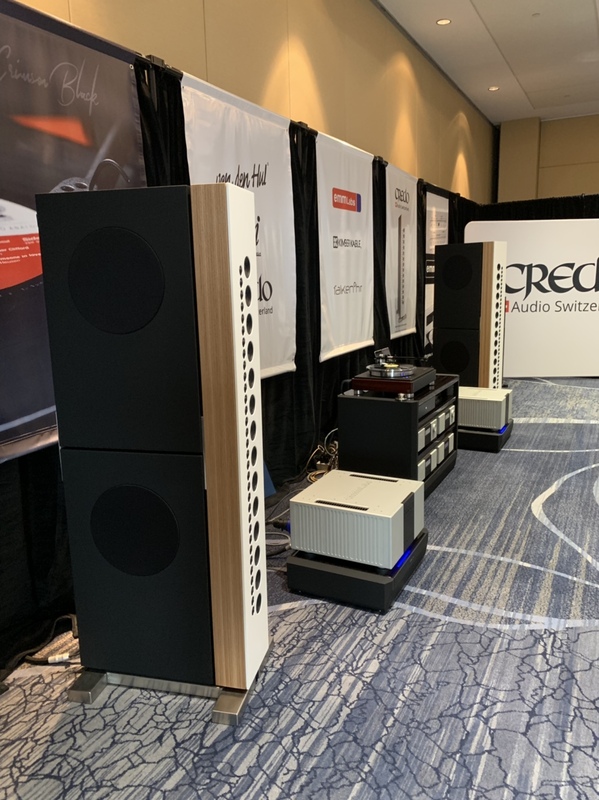 Axpona is worth attending for enthusiasts keen in the hobby, but ideally for those with one foot grounded in the basics -- as there is a lot of snake oil sales at the event. 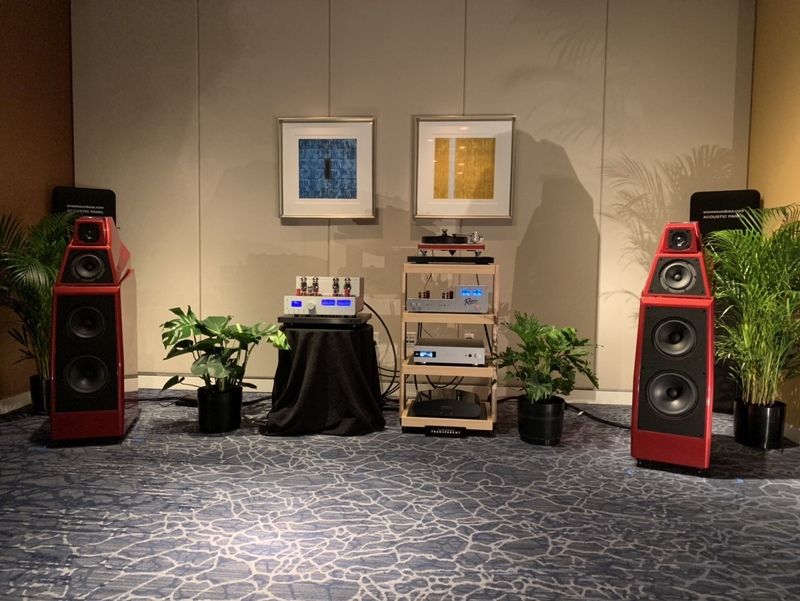 Perhaps we were a bit cynical, but our little group is fairly DIY/practicality oriented and don't subscribe to a great deal of the fluff that shows up at Axpona. $10,000 power cables? yes sir! 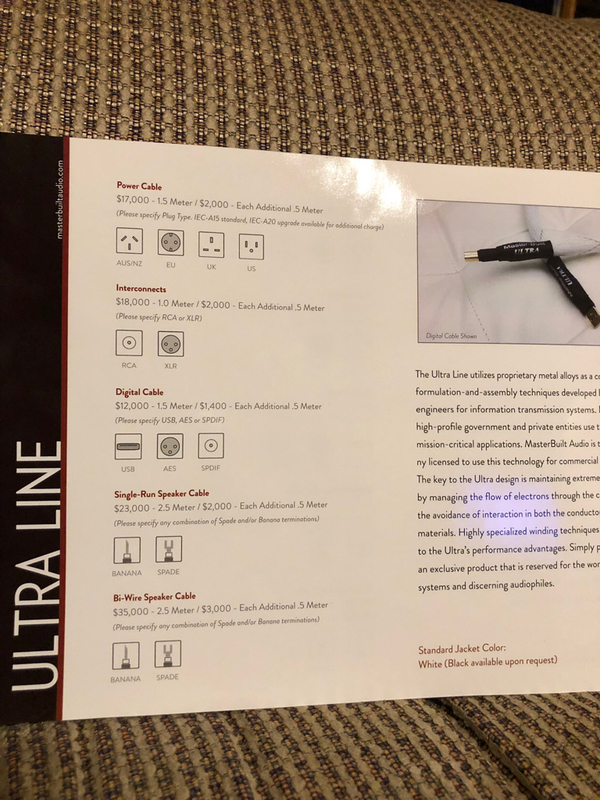 $10,000 for speaker wire too? Sure, you can buy it by the foot! Magnets embedded in your electrical wire to remove magnetic interference from your speaker drivers? YES, Where have you been all my life? Short digital USB wire cables made of gold or silver. Gotta make sure those 1's and 0's are absolutely digital. 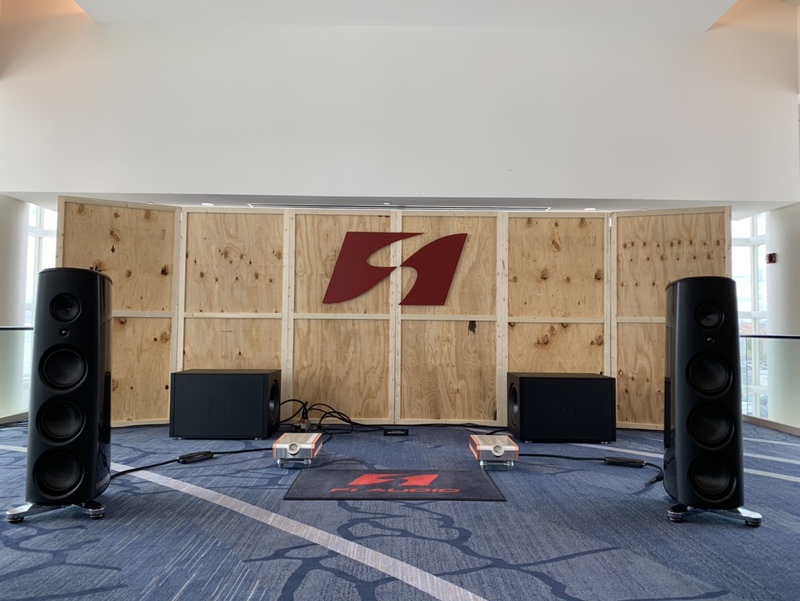 $300,000 speakers with $300 Dayton Audio Ultimax Bass subwoofer drivers? As long as the customer is happy - it isn't unethical right??? Power Conditioners that cost as much as an upper middle class home? But of course! Audio Systems that cost half a million dollars and sound no better than systems in the adjacent room that where the system costs $2k... mmmhmmm. 75 year old men, who likely can't hear any frequency over 10,000Hz asking if a speaker extends to 24,000Hz (or more)? everywhere! I thought to myself, 'who in blazes buys this stuff?' Dr. Bob in a white labcoat or other vendors dressed in the garb of their Audio company's founder, voices laced with heavy accents explaining why their speaker technology is the best, and why no one else's technology can begin to compare. But don't take their word for it, close your eyes and listen to this unfamiliar track, you'll surely be able to hear that touted feature yourself! Can't you? It's all a little bit over the top for me. Nevertheless, I enjoyed the show, and heard some gem speakers in the various rooms. I'll speak to a few of my favorites, or the more widely known players here on the forum. We went to the Legacy room three times, in attempt to hear the Legacy V. I'd heard the Legacy Whisper before and liked them. A salesman approached and asked what I thought. 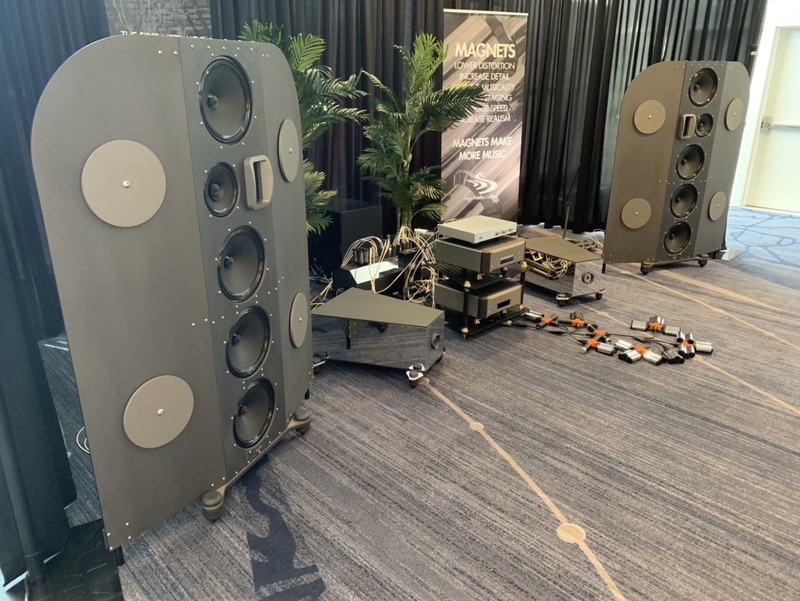 I said I liked them, but $25K for a pair of speakers was out of my price range. He responded that he had a used pair on show special for $12K. I thanked him for the opportunity, but would respectfully decline. None of my vehicles are even worth $12k. I'm not really the client he was looking for. 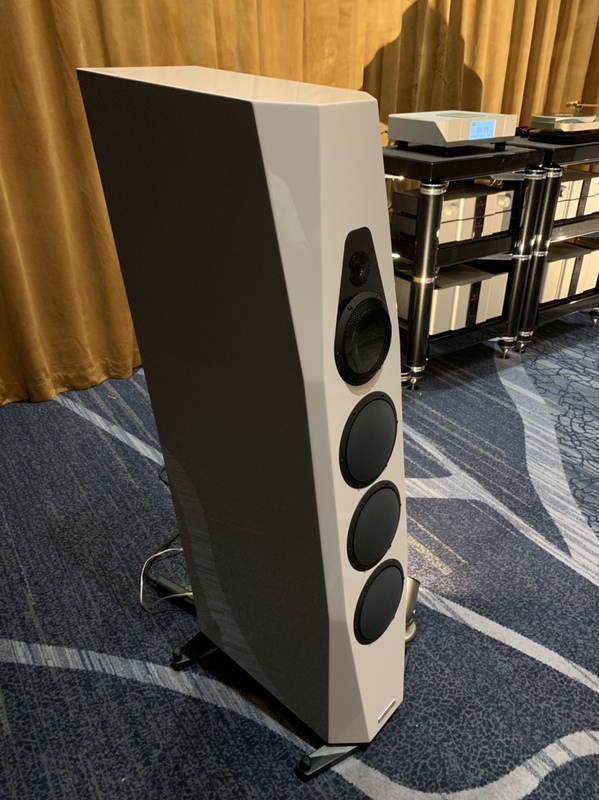 But hey - at Axpona, $25K was chump change. You could spend that on 1.5M of speaker wire if you were so inclined. Here’s a picture from a pamphlet I picked up at the show to prove it. JTR Speakers room was very good, and I spent a few hours in it over the course of the weekend. Nice Atmos ceiling coverage with the 9.8.6 system. The Unbroken clip was potentially my favorite. In the big space of their demo room, the fighter plane flying around the the room sounded so realistic you wanted to turn your head to see if it was real! When explosions happened you felt air move past your leg and flutter your pants -- compliments of the eight 2400ULF subwoofers lined up left to right under the screen. The JVC projector threw a great image, and the Seymour screen looked quite fantastic. If you've been to the JTR room before you know it's always a go to recommendation. I have no hesitation to recommend JTR speakers and subwoofers. They are a top shelf product. JTR hosted a Friday night mingle which was fun, and I got to meet a few of the forum regulars, who I hadn't met before. Thanks Jeff for buying the food and drinks! Good local Chicago pizza and Italian beef sandwiches. JTR, Emotiva, SV Sound, and Focal were the only surround sound audio rooms I saw. JTR easily had the best setup of these, though they also did cost the most. Seaton Sound took the year off at Axpona, but in my previous visit, I heard them and they put forth a great sounding home theater demo room as well. SV Sound was demoing their new speaker system that is one step down from their highest line, and we heard it for a brief demo -- $3800 for the full setup, I was impressed. I've heard SVS setups before and recommend them at the price point, they are a solid choice. The Focal home theater setup reminded me of my very first Wharfedale setup, but with 6.5" in ceiling speakers, and smaller, less intrusive speakers by design, they were reasonable, but didn't really ring my dinner bell. We visited maybe 1/3 of the rooms in 1.5 days. There are a ridiculous number of vendors and if you spend 10 minutes in a room, you just can't see them all, even in a whole weekend. Honorable Mention - Pioneer Elac. Ribbon Tweeter, that warm melt in your chair sound, a price that still is high, ($1200 for a pair of bookshelves) but is at least obtainable by mere mortal human beings. 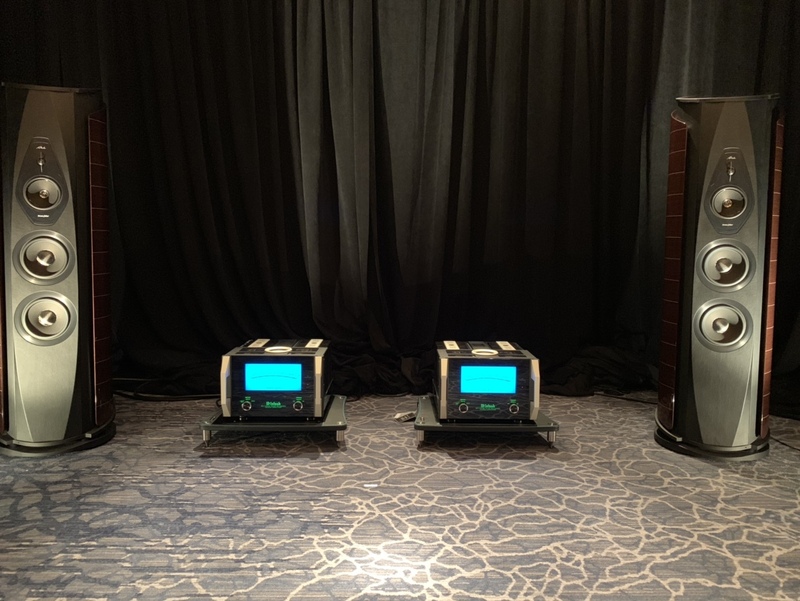 Saturday night Mark Seaton, of Seaton Sound, and one of his customers offered a evening of demos in a full Seaton Sound equipped and calibrated Star Wars themed room. The force was strong with this one. It was the biggest home theater I've been in thus far, and also ranked as one of the better home theaters I've experienced! ~12' ceilings for Atmos ceiling channel breathing room and multiple seating rows on raised wooden stadium seating. The wooden platforms for the seats furthered the tactile feedback of the eight sealed 18" Seaton Subwoofers. Those subs could produce all the tactile bass one could possibly need! I believe those Seaton subwoofers impressed everyone there, save one. You might know who I'm talking about, and if you don't you'll find out later in this post. The bar space outside the theater was filled with neat Star Wars memorabilia and the intermixed Star Wars demo clips were extra special played back in a room that reminded you of being present inside a Star Ship cruiser. The projector calibration was strong, making a quasi HDR picture out of an older, but high quality e-shift projector that didn't originally have HDR. The result was as great looking picture, and great sounding system that was sure to please most anyone! The hosts were welcoming, Mark's catered Greek food was delicious, and it was enjoyable to link up again with other enthusiasts from Axpona in the private setting and continue to visit. Favorite Clip? Star Trek - Into Darkness. Sunday lukeamdman, and d_c and I set out for SOWK's theater demo. SOWK's theater was excellent in nearly every regard. His system is a full JTR Speakers setup, in a well tuned and treated space and is among my very favorite home theater rooms I've visited. It's 100% black, floor to ceiling. The JVC DLA-NX7 calibrated picture, in the all black room, threw the best projector picture I've ever seen. The black floor was excellent. The whole system was tuned to near perfection. Anything I could say negative, would be minor subjective quibbles. An excellent space, with unreasonable attention to detail, alongside fun ancillary extras such as a candy/popcorn lobby, a ticket booth (with custom demo specific movie tickets for our visiting group's demo session), and even a fitting 1960's style cafe booth. The home theater's lobby, reminded me of walking into the lobby of my small town cinema as a boy - but that's where the familiarity stopped. Tony had ZOUNDS better A/V, and no gummy worms stuck to the projector screen. Then d_c and I set of to see Pennynike1's home theater room. If Pennynike1 is called a bass hound, then the rest of us bass enthusiasts are fragile newborn kittens. The bass in his room felt like it was compressing my skull. Pennynike's room is all business, and it was fun. I'll admit I was a bit afraid of being hurt and had my earplugs at the ready - which of course I used! He has 8 Othorns (eight 21" drivers, horn loaded), and 4 Seaton Terraforms (two 18" drivers in each Terraform, bass reflex design) in a yet unfinished, work in progress, basement space. Alex demoed his three bass settings. He called them Guest, Alex, and Extreme. Guest DSP mode had the bass set to 12dB hotter than the mains. The Alex DSP mode, was his preferred setting, and the one he most commonly used for his own movie viewing. In Alex mode the subs were 30dB hot. In extreme mode the subs were ~50dB hot. With a subwoofer system capable of mid 150dB SPL levels - the amount of SPL tactile sensation rivals that of competition car audio -- except it's clean, and punchy bass. Amazing really, and the only other room I've experienced that could rival Alex's room for ridiculous bass output was lukeamdman's room where Luke literally measured 155dB on a particularly potent home theater clip with his professional mic (rated to measure accurately up to 165dB). Meanwhile I measured greater than 125dB in the kitchen above Luke's theater room as my omnimic splashed up the overdriven warning and told me it couldn't measure any higher. As to who's extreme bass system is stronger, Alex or Luke's? I'll let them wrestle over that - I have no idea. They are both animals, fun, but animals! We didn't have a mic capable of measuring to those 150 range dB levels to confirm what we were hitting in Alex's room, but Alex gave us a few minutes to experience the full wrath of his system and it was something to behold. Doug and I pretty quickly raised the white flag and asked Alex to return to the guest setting - even with our earplugs in - it was punishing. Punishingly good? Is that possible? 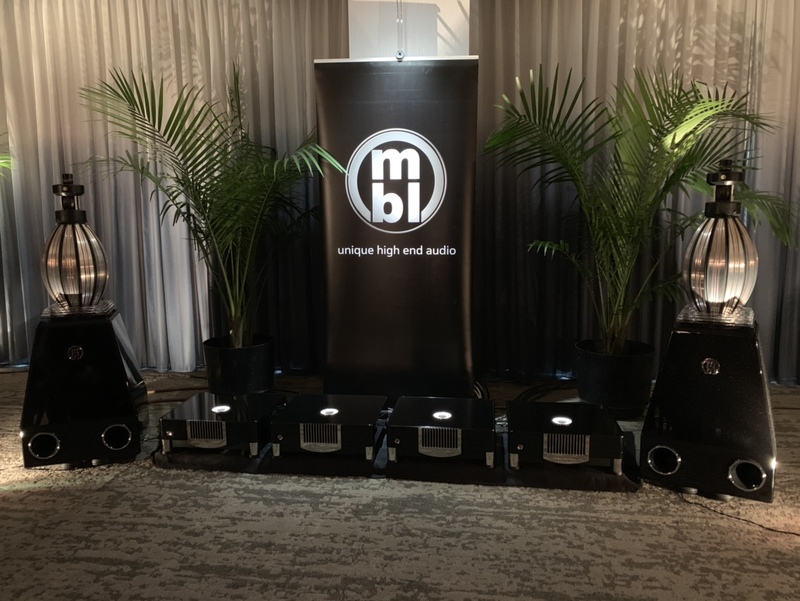 His seven pro audio Mackie speaker system reminded me of my previous Mackie system, which was quite enjoyable, and unmatched price to performance ratio, IMO for commercial pro audio speakers. It's fun to experience the crazy of an extremely capable subwoofer system -- even if just for a few moments. We played Harry Bercules - Walkens Pendulum and all ran upstairs like we were teenagers to see what it was doing to the house. I tried to film it with my phone, but my finger apparently accidentally vibrated to the stop button because I only captured 4 seconds of video and thus missed all the action. Needless to say, the bass re-organized Alex's bedroom - knocking everything off the shelves, and one of his family members who was visiting had just caught a desk lamp on its way to the ground as we rounded the corner into the living room. Does your toilet seat flap up and down in the bathroom above the theater? No? That's weak. Alex's does. Quite an amazing show of power. I told Alex, after he played the F'ing Irene clip from Black Hawk Down, that I'd actually ridden a military, crew transport, helicopter as we flew out to an Aegis Destroyer during my Navy CORTRAMID experience in college, and his subwoofer system on that scene was louder and more tactile than boarding one of those helicopters feels in real life. -- Likewise the War of the World's emergence scene seemed louder on his system than I suspect it would be if a real 40' tall robot emerged from under the concrete street. One more true tale -- my Grandfather owned a quarry and I witnessed 500lbs of TNT explode a layer of rock off the excavation face they were working on (to be fair from about a 1/2 mile away) -- and I don't recall that being as loud as the explosions in his Underworld Awakening demo. Maybe it's me, but something seems wrong with that picture. I looked up the dB rating of a fighter jet launch and it is listed at 150dB. Alex's subwoofer system can very likely hit mid 150dB range -- potentially 6dB louder than a fighter jet launch? That's just obscene. Evenings were a lot of fun talking into the wee early morning hours with my trip roomates/friends. I enjoyed the event immensely and am thankful for the refreshing weekend. Thank you to the three hosts that offered up their time, stage, home and food to strangers to share their enthusiasm in the hobby with others. @Jeff Permanian , @Mark Seaton , @SOWK , @pennynike1 ... Thanks to Gorilla83 for heading up our trip and securing the AirBNB for our group. @d_c - thanks for being my Kansas City travel partner, I enjoyed visiting with you on the trip and I hope we can miss many more GPS recommended turns together on future trips! Mark Seaton, Scott Simonian, chirpie and 14 others like this. Last edited by Archaea; 04-16-2019 at 12:39 PM. That is one heck of a post @Archaea ! Must have taken quite a while to compose that one. It was awesome reconnecting with you and Doug last weekend, and I am glad that @SOWK opened up his theater space to you guys as well. Hopefully you get a chance to come back once I get the JBL M2's integrated into my system, and I know that Tony will also have further improvements to share as well in the near future. As far as the GTG on Saturday Night, I had seen photos of the Star Wars themed theater in the past, and I was extremely happy to see the theater space in person. The theater boasted a 12 foot ceiling, which was the tallest ceiling I have had the pleasure to experience thus far. WOW is the word that comes to mind. My big take away from the experience was that I truly love large theater spaces, and it was pretty darn impressive to see a themed theater space dedicated to Star Wars. Each time a Star Wars clip flashed on screen, the ambience/design of the theater made it that much more impressive!! Mark Seaton and SOWK like this. Last edited by Archaea; 04-15-2019 at 10:09 PM. My playlist of songs I picked up at Axpona this year. I thought these were neat. Thanks for the great writeup and the playlist. Gonna buy the Bozz Scaggs CD. Great production, notably the bass line. 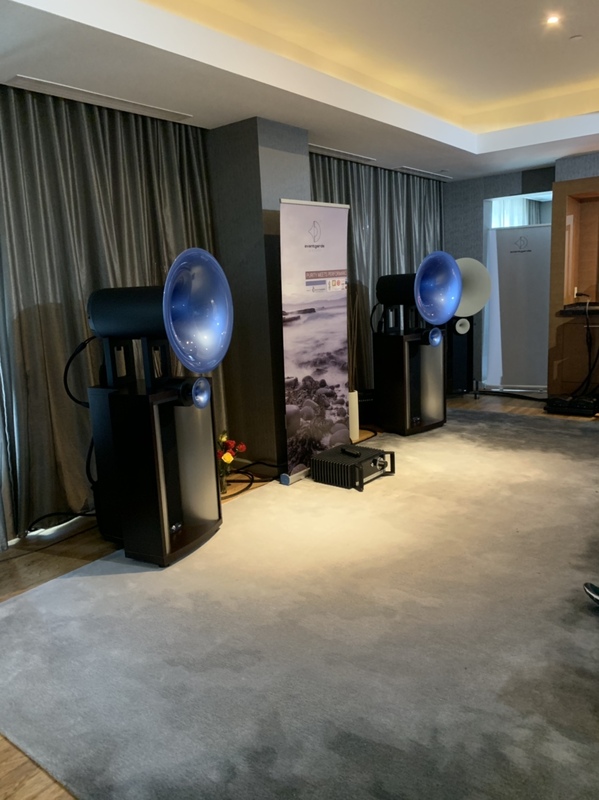 Those are Vimberg Tonda Speakers, just $38k for the pair. 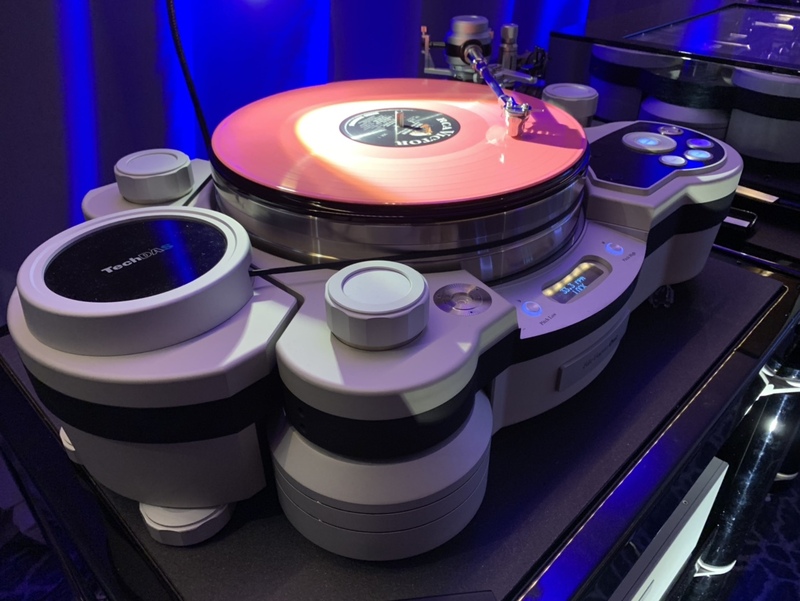 Info from Stereophile. markrubin and Archaea like this. @Archaea I loved your writeup especially the line about 75 year old men . So true and I can say that because I am getting closer everyday . Can't use that one much longer because I'll be 76 in a few weeks. Great idea. I snipped image. Oh, as to Chicago Pizza. Was the best pizza I've ever eaten. hands down. Those who recommended it, THANK YOU. Roger Dressler, Gorilla83 and Scotth3886 like this. 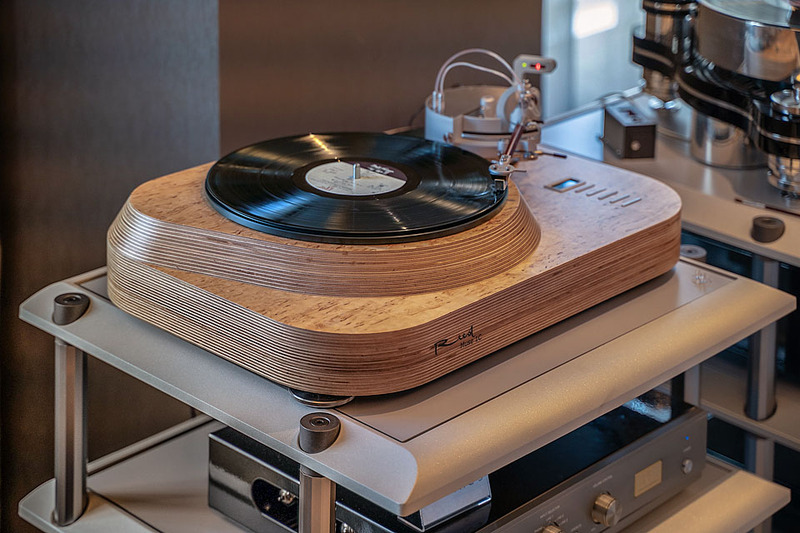 Perhaps we were a bit cynical, but our little group is fairly DIY/practicality oriented and don't subscribe to a great deal of the fluff that shows up at Axpona. See, I thought I was pretty practical before this event but now I may be thinking the other way around. I'm going to evaluate my system this evening and make a very serious decision if I want to sell most of it and just go with a pair of super nice masterbuilt power cables that I will just carry around my house with me at all times to use on whatever electronic I need plugged in. I'm being serious. My review is still pending. Too busy catching up. chirpie, Archaea and drh3b like this. Oh yea and Lou Malnati's is the highlight of my entire trip. Or was it Portillo's? Darn good italian beef.